I've been reading Galaxy Guide 1: A New Hope (second edition, because it's got more detail), and, man! There are some very cool roleplaying items (I'll call 'em) buried in the text. I think out of all the roleplaying games I've been exposed to over my life, I like reading WEG's Star Wars game supplements the best. For example, take the background description of Sivrak. 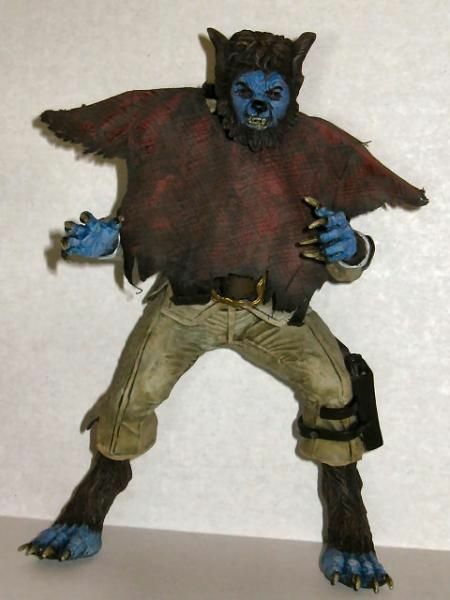 He's the wolfman seen quickly in the Cantina scene. So, he comes from a group of worlds ruled by the Shistavanen Wolfmen. These guys are some of the best Scouts in the Empire. But, the Empire tightly controls contact with new worlds, putting an emphasis on developed worlds. Still, the Wolfmen are fairly indifferent to the Empire and pretty much ignore the Rebel Alliance. This ties in nicely with why we don't know more, today, with the new films, about the Unknown Regions. Palpatine wouldn't allow exploration into that region. Long story short, Sivrak, in Mos Eisely, is actually a top Scout with lots of renown. His actual name is Lak Sivrak, but he's in hiding now--which is why he is on Tatooine--because he's seen the light about the Empire and has started helping the Rebels. That helping turned into him becoming a Rebel himself. So, if you run a game on Tatooine, and you need a Rebel Agent for the PCs to contact, this would be a cool character to use since the players will probably know of him from the movies. There's also a note in Sivrak's bio that he died during the battle on Endor. But, it doesn't go into detail--so, a crafty Ref could have the PCs serve with Sivrak and have him meet a heroic end, whether that be down on Endor or up in the sky, defending the fleet from the fully operational Death Star II. Given that Sivrak is a fantastic Scout, I'd say that Sivrak became part of one of the commando squads down on the surface. Maybe he was even in the team lead by General Solo.